The Flash Sales have given the online retailers a tool that they can use to drive traffic to their sites and get the product sold in a matter of minutes, or maybe seconds for some products. It is not a new concept though. It has been derived from the previous concept of having sample sales or limited time sales by stores in which they offered heavy discounts. This was done to give the people a reason to visit the store and increase footfall. The people used to visit the stores in hope of getting a good deal and the retailer had a hope that the customer would visit again even after the sale has ended. A flash sale uses a similar concept of offering a limited time sale of a product. The Flash Sale concept has recently been used quite well by the smartphone manufacturer Xiaomi. 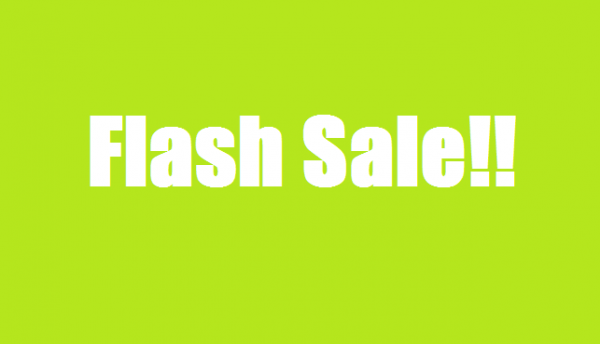 Why are Flash Sales so successful? The prime reason for flash sales becoming successful is the urgency it creates in the minds of the customer. The retailer offers a time window or offers a limited number of quantity of a given product and if you miss that window then you would have to wait for months or weeks to get another opportunity of getting that product. So people would not want to miss out on the opportunity and would like to get the product in the first shot. As there are a lot of potential buyers for a limited number of units offered, getting that product makes a customer feel like winning something. Xiaomi in its flash sales uses the same concept. It offers less number of products for a high demand which creates a sense of achievement in the minds of those who eventually end up getting the phone. It’s like a lottery which everyone wants to win but only a few lucky ones do. But it also brings a doubt in the minds of the customers whether the lack of supply really existent or is it just a marketing strategy that the company is using way too well to fool the customer. If we talk about Xiaomi which has been really successful in their flash sale strategy, they say that they are constantly trying to meet up the demand for their handsets. Now in their one flash sale for a particular smartphone they offered 40,000 units, in the next week they again had 40,000 units up for sale and the same in the third week as well. So they offered 120,000 units in a matter of three weeks. Now couldn’t they get all these 120,000 units up for grabs in a single go? Maybe that won’t create the hype that their flash sales do. It would take that lottery factor out of the situation, which is one of the reasons for their flash sales becoming so successful. The impact of these Flash Sales on customers is not the same for everyone. It is the same what happens in the case of a lottery. The people who end up getting the product feel like they have won something. And who in the world wouldn’t be happy after winning. Those who couldn’t get it feel disgruntled and annoyed. But whether this strategy can continue to be successful in the long run, I have a doubt. The model works on creating a desire and then fractionally fulfilling it. It leaves a lot of unfulfilled demand. This section of the consumers if get their demand fulfilled by some other brand which offers the same type of product at a somewhat similar price then it can create problems for a flash sale oriented brand like Xiaomi. So in the long run a brand can only succeed if it values the sentiments of its customers, connects to them and tries to meet their expectations.